All the lecturers working for MANCENT have had many years of experience working in Adult Education. Apart from working for Manchester’s “Courses for the Public”, they have associations with University departments throughout the Country, the Open University, the Adult Education Branches of the University of Liverpool and the Wilmslow Guild. Over the next few months we are going to add pictures and short CVs for most of our lecturers. At the moment here is a short list of their names, subjects and contact addresses in case of queries. Robert Callow graduated from London University with first class honours in Botany in 1971. He was awarded the Ph.D. degree for his thesis on the rare Somerset grass Koeleria vallesiana. He was a lecturer at Manchester University for almost thirty years (1974-2003) and a tutor with the Open University for nine (1992-2000). He appeared on the Channel 4 series “Six experiments that changed the world”. His research publications have been mainly concerned with chromosomal evolution in plants but he has taught plant ecology on numerous fieldcourses, both in the Mediterranean and in Britain . He has also led botanical holidays for the tour-company Cox and Kings. He is author, with Dr L.M. Cook, ofGenetic and Evolutionary Diversity (Stanley-Thornes, 1999). Since taking early retirement in 2003, he has provided training courses for Aberdeen County Council, Agri-Biotech Ltd and the Field Studies Council. He has also presented courses on an independent basis for those with enquiring minds, particularly in the fields of genetics and evolution. Joanne has a first class honours degree in archaeology and Egyptology, a masters and PhD in Egyptology, all from the University of Liverpool. Her research focuses on image of women and the development and establishment of Egyptian art and style. She also has a strong interest in the use of anthropomorphic figurines. Joanne has a broad knowledge of the material culture of ancient Egypt and has worked at the Atkinson gallery in Southport assisting them with the display and documentation of the Goodison Collection. Joanne teaches at the University of Liverpool in the Centre for Life Long Learning and regularly runs handling sessions at museums in the north-west. Joanne has published several academic papers which can be access from https://www.academia.edu/ and she is currently working on the publication of her PhD thesis, which examines image of women, in two and three-dimensions, from the workmen’s village of Deir el-Medina. Joanne is also chair of Wirral Ancient Egypt Society. Gareth Curtis read Music at Cambridge and was later awarded a Ph.D. by Manchester University for his research into medieval sacred music. He has spent most of his career in education, teaching for the Music Department and for Courses for the Public at Manchester University; he is also an Associate Lecturer at the Open University. Despite his out-of-the-way specialist area, he claims catholic interests, and, over the years, has explored a wide range of musical topics in both weekly courses and study days. 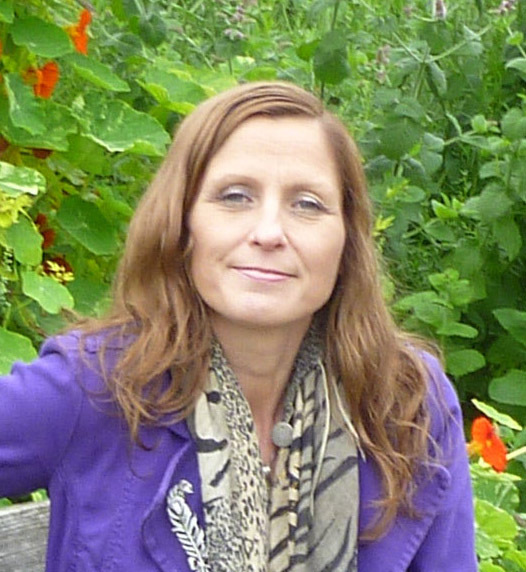 Dr. Birgitta Hoffmann is Co-Director of the Roman Gask Project. She teaches or taught Archaeology, Ancient History and Latin at UCD Dublin, the Universities of Liverpool and Manchester, Queen’s College Canada and Virginia Military Institute Virginia. She also lectures for a number of adult educational organisations in addition to freelance research and writing. She studied Roman Archaeology, Early Medieval Archaeology and Ancient History at Freiburg University in Freiburg/Germany. She has a MA in Roman Archaeology from Durham University and a PhD in Roman Archaeology (with sub-sits in Ancient History and Iron Age and Medieval Archaeology) from Freiburg University . Birgitta Hoffmann is a Fellow of the Society of Antiquaries of London and has published widely, especially on trade and long-distance contact across borders, military archaeology for the Roman to early modern periods, as well as Roman history and archaeology. She is also the Chairperson of the Wilmslow Community Archaeology Group. Specialises in modern American political history, with special reference to the US Intelligence community. Director of Historical Studies at the University of Bolton. Currently preparing an article for publication. Martin Jervis is one of the Lecturers of History Inc. Retired Head of History Department at Tring School, Hefts, where his specialist subjects where modern American and European history. Subsequently developed a career in Adult Education, teaching at the University of Manchester, the Lamb Guild and the WEA. Andrew Jones is one of the Lecturers of History Inc.
Professional writer, whose interests include the growth of British Intelligence prior to and during the Cold War; British Africa prior to Decolonisation; Hollywood in the 1920s, 30s and 40s, with special reference to the crime genre. Carla Leach is one of the Lecturers of History Inc.
Has been involved with the local history of Manchester for many years. A qualified Librarian, he spent several years working in Manchester’s Local History Library before moving to the Greater Manchester Council. Teaches local history for the University of Manchester and other academic bodies since 1971. Published author of several books featuring the history and photographs of 19th and 20th Century Manchester. Chris Makepeace is one of the Lecturers of History Inc.
Dr Creina Mansfield has degrees from Cambridge & Manchester universities. She has taught English literature for many years & specialises in narrative & the novel. She has a particular interest in the work of Graham Greene & she continues to be one of the judges of The Graham Greene Birthplace Trust’s Writing Competition. She has published many fiction works for children, but in recent years has changed direction & begun writing fiction for adults. Her novelThe Silent Soldier: Phuong’s Story will be published in 2014. Christine Musgrove studied in Oxford and Edinburgh, gaining an MA in the History of Art. She was a tutor at Manchester University and has spent several years in adult education as well as leading many art history study tours. Mike Nevell is an extramural tutor with more than 20 years experience, having taught for the WEA, the Wilmslow Guild and the University of Manchester. He is currently Head of Archaeology at the University of Salford and Chairman of CBA North West. Mike’s research and teaching interests include Industrial archaeology and the archaeology of buildings, with many publications on both subjects. Dr. Alan Sennett is an Associate Lecturer at the Open University and teaches modern history, politics and film at Manchester and Liverpool universities. He also lectures for a number of adult educational organisations in addition to freelance research and writing. He studied modern history at Sheffield City Polytechnic, took his MA in Political Sociology at Leeds University and a PhD at Manchester Victoria University. Research interests include political organisations in the Spanish Civil War, and film propaganda in the 1920s, 1930s and 1940s (including cinema of Empire, Hollywood, Soviet and Weimar cinemas and the documentary film movement in Britain). Michael Tunnicliffe studied Theology at Birmingham (BA and MA) and at Cambridge (M.Litt) where he did research on three verses in the Book of Isaiah. He is a member of the Society for Old Testament Studies and author of a Commenatry on the books of Chronicles Ezra and Nehemiah. He now teaches free lance for a number of providers in the North West. If so I did my BA in history at Manchester as a mature student. After this I studied for an MA in medieval history on a part-time basis whilst teaching A Level history. Following my masters, I did my PhD on early Anglo-Saxon kingship, graduating in 2002. I gained extensive experience of adult education at Manchester University’s CCE (in its various guises!) and in addition I have many years’ experience of teaching history at all levels from GCSE to undergraduate. I am currently teaching in MMU’s Department of History and Economic History. and other review-articles on modern poetry for PN Review.